Park Hopping isn't for the weak, it can be very exhausting and leave your dogs barking. After hopping the parks and trying to visit as many of the rides as one possibly can the day came to a conclusion. 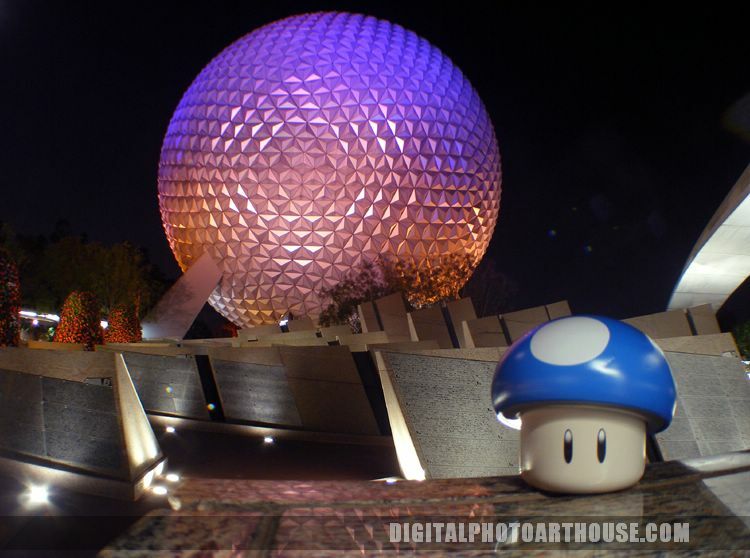 A beautiful night helped to pause, take a breath and start a photo shoot in front of the classic and easily recognizable iconic Spaceship Earth. It is so well lit up that it's easy to take a photogenic shot with it. Epcot has so much to offer but if you can't do any more rides and waiting in lines after running through all of the other parks earlier in the day than go to grab a seat around the World Showcase Lagoon and enjoy the IllumiNations: Reflections of Earth.